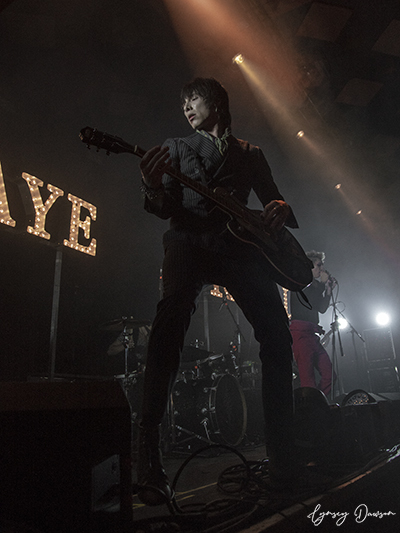 Two big support bands on the bill, Black Peaks and Palaye Royale. Progressive rock band Black Peaks took me by COMPLETE surprise. Progressive rock usually isn’t my go-to genre but Will Gardner’s vocals blew me away giving me System of a Down and Mastodon vibes. They will definitely be a band I’ll be following in the future. 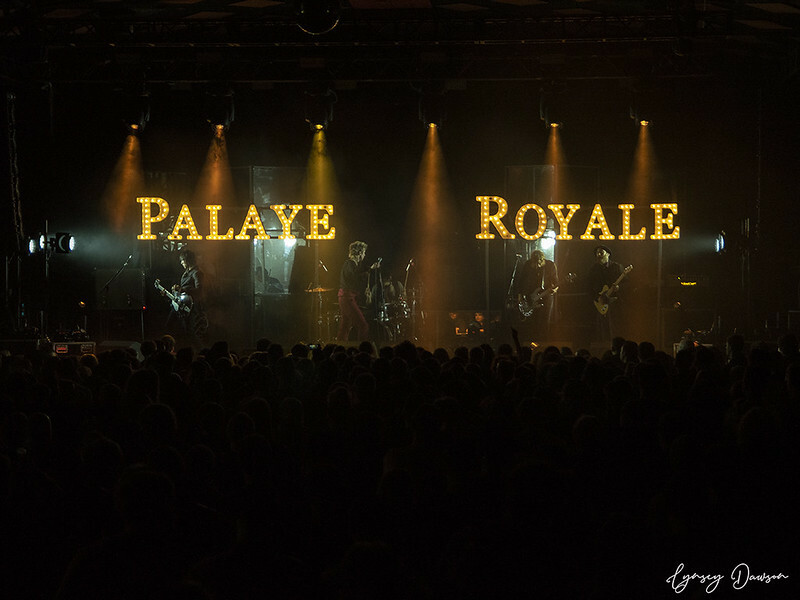 Palaye Royale was another band that I’d listened to a lot but never watched their live performances online. Decking the stage out with their name in lights, the Canadian rock band hit the crowd with the likes of You’ll Be Fine, Mr. Doctor Man and Dying in a Hot Tub, despite not addressing the crowd throughout the show, they still delivered an impressive performance. There’s a couple of things we need to make clear before this review continues. Mr Rou Reynolds has more energy than I think several bottles of Lucozade could provide me with. 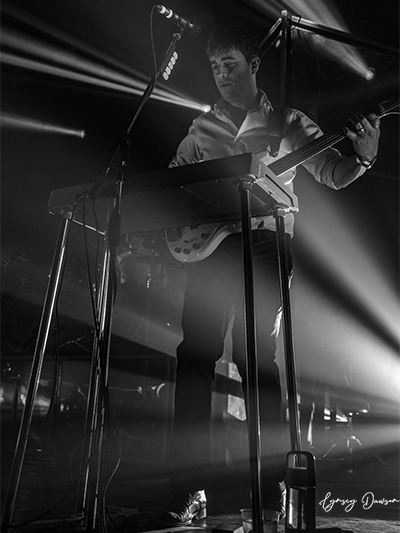 Swaggering on stage to The Spark in the slickest suit with a goblet of gin, you knew the man was here to hit you with top-notch vocals for the first vocal track, The Sights. 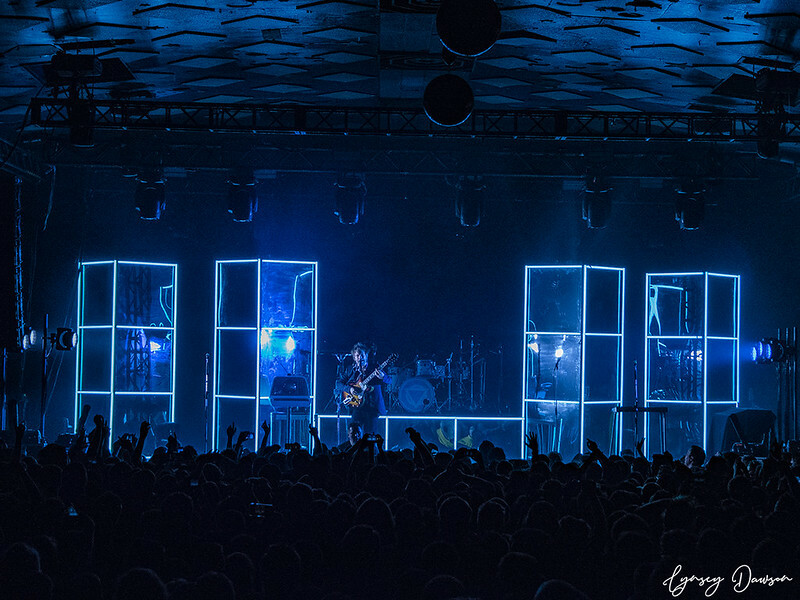 The Stop the Clocks Tour has been a long-awaited tour for Shikari fans, with five studio albums under their belt and a highly demanded name on worldwide festival line-ups, Enter Shikari fans know that they are in for a treat when they go to a live show, and their sweaty sold out Barrowlands date was no exception. 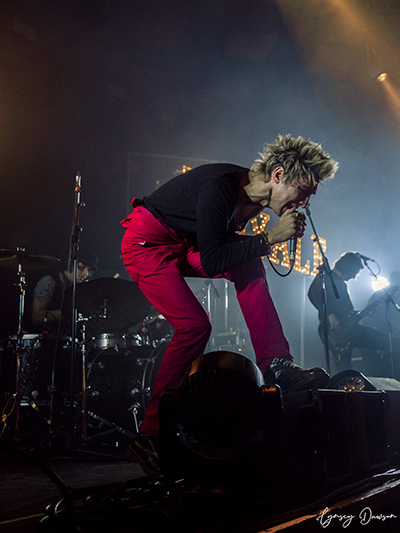 Belting out the classics Step Up, Labyrinth, Halcyon, Hectic and Gap in the Fence from their first two studio albums, Common Dreads and Take to The Skies, it was clear that Enter Shikari weren’t these classic bands who release a new record and neglect their hits from previous albums. 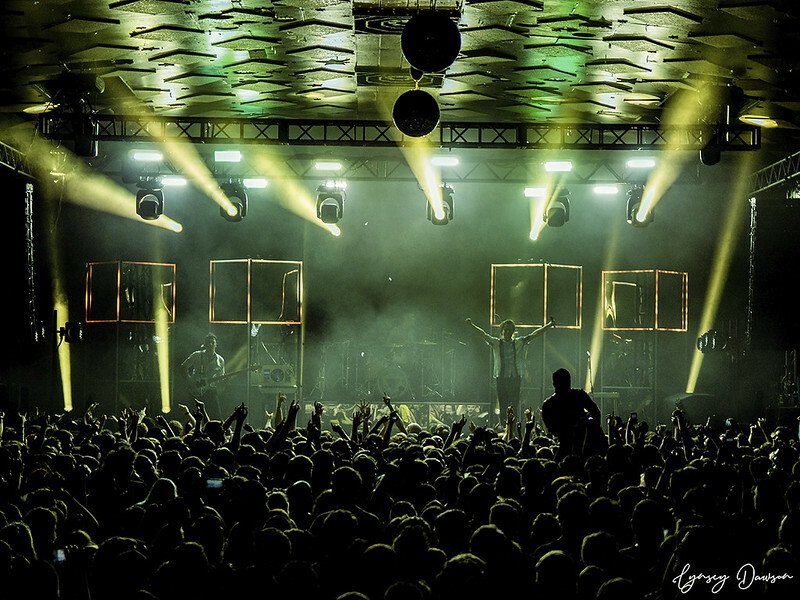 It’s no secret that if you go to a gig in Scotland, you should expect a rowdy crowd with Rou saying “we’re not the kind of band that say this on every night of the tour, but I will say that I think Glasgow is our loudest crowd yet”. This is where things got wild. A song which I had seen plastered over Twitter in the days running up to the show, Slipshod, the second the beat kicked in for the song, I could hear every single word being shouted by the audience, it was clear that this was a fan favourite and I loved it. In follows The Revolt of the Atoms with a snippet of Gandhi Mate, Gandhi and Mothership before the crowd erupted into several circle pits for a cover of Faithless’ Insomnia. I’ll be honest, I’ve attended my fair share of gigs but I now know why they say The Barrowlands is a warm venue. Sweat GALORE. 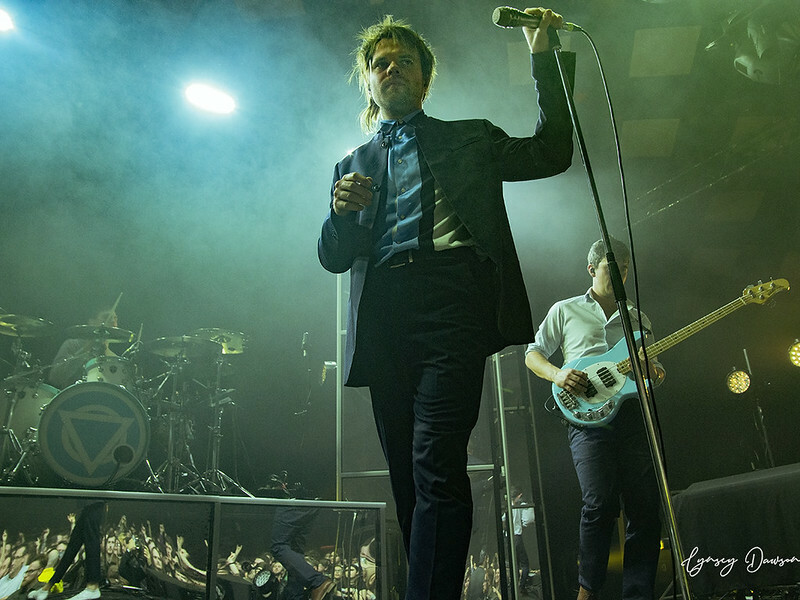 Following a wild segment, things calmed down for Shikari’s slower track Airfield and Undercover Agents with Rou taking to the piano. 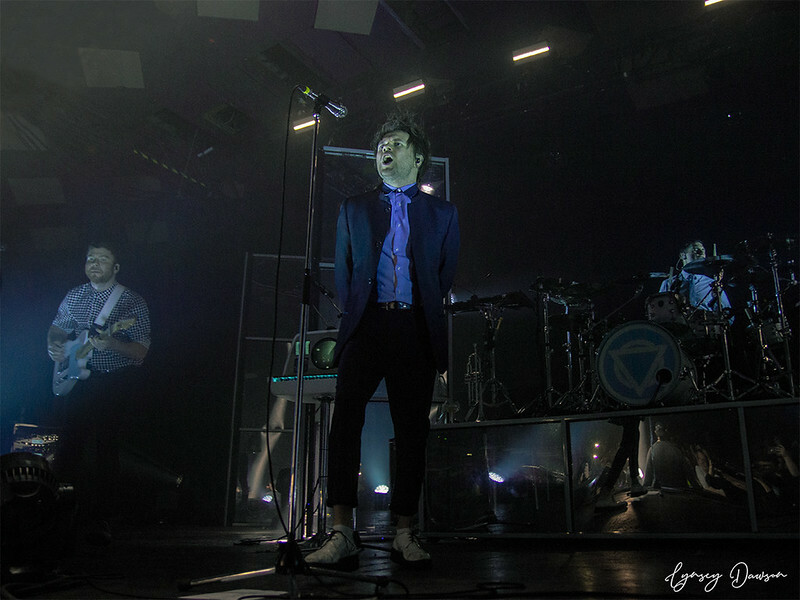 But in true Shikari style, the band returned to their usual upbeat style with a quick-fire round aiming to play four songs in eight minutes which included Sorry You’re Not a Winner, The Last Garrison,… Meltdown and Anaesthetist remixed in. By this point, I think everyone was expecting the band to not come back for an encore after being treated to a heck of a show already, but the most touching moment of the evening was Rou walking on stage alone accompanied with the most beautiful guitar. He told the crowd that the guitar belonged to a Connel who is no longer with us and was a student in Glasgow, he wanted to play a track that hadn’t been played on the tour so far, Adieu. This was an incredibly touching moment with the crowd chanting Connel’s name for a good half a minute. 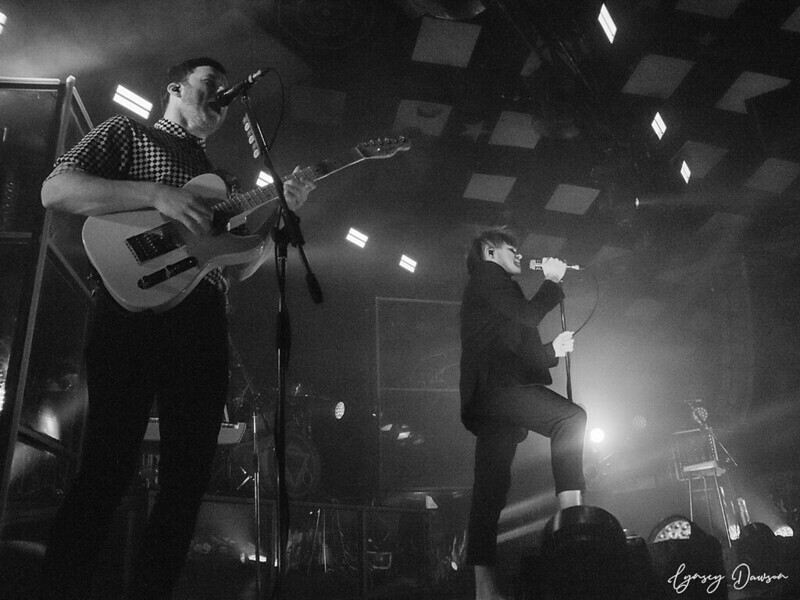 There really is no spirit like a Glaswegian gig. Rory, Chris and Rob joined Rou on stage following the dedication to hit the crowd with the song everyone was waiting for, Juggernauts. Guitarist Rory Clewlow took the plunge and jumped on the shoulders of a security guard to play the track whilst the audience ran a circle pit around him, now I don’t know about you, but that is some fab vs artist trust right there and I live for it. Closing with Live Outside was a perfect choice as paper confetti stuck to the majority of the audience’s sweaty faces, it was by far and I don’t say this ever, the best gig I have ever been to. 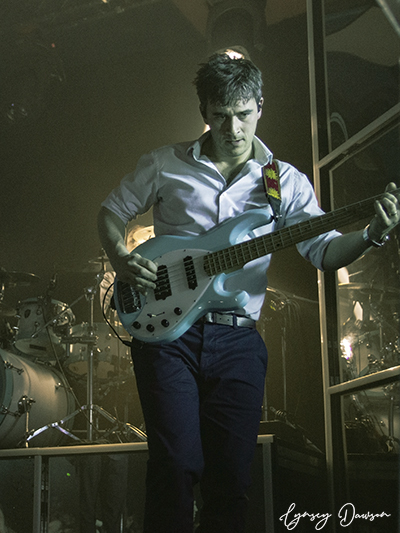 In 2012, I wrote my first gig review about Enter Shikari’s show in Edinburgh, and to still be this blown away by the same band on a review seven years later shows you just how fantastic the St Albans rockers really are. Bravo Shikari. Bravo.